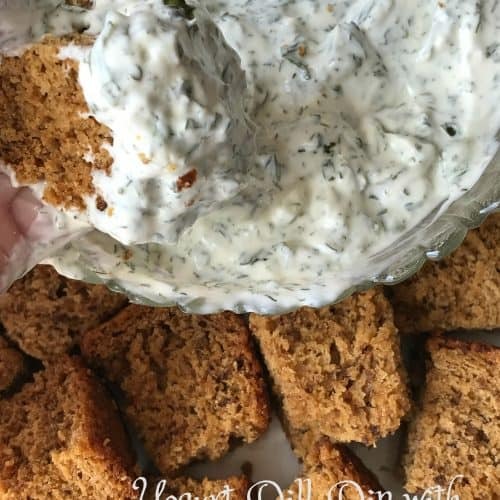 The secret to this creamy and yummy lo-cal dip is the blend of plain Greek yogurt, reduced-fat sour cream and olive oil mayonnaise. 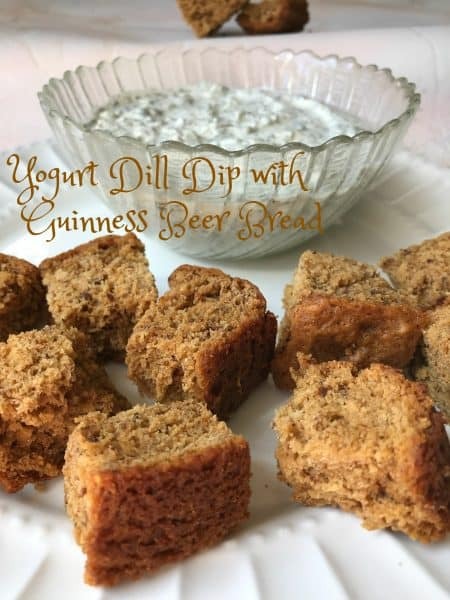 Not only is this dip fantastic with fresh vegetables and beer bread, it’s super served alongside baked potato wedges or breaded chicken fingers. Yogurt Dill Dip is also delicious served with my favorite pumpernickel rye pretzels from Trader Joe’s . 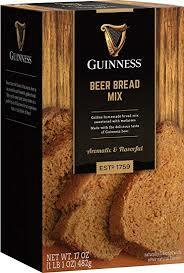 I recently picked up this box of Guinness Beer Bread Mix at Aldi. I don’t usually purchase beer bread mix, because we aren’t huge fans of beer bread, usually. Most boxed beer breads, to me anyway, are on the heavy side, don’t really taste much like beer, and are topped with melted butter. (Which I find to be overkill) So when I picked up this boxed beer bread by Guinness I wasn’t expecting much. But for $2.99, I thought what the heck. Guinness beer bread mix is made with only a few ingredients. The boxed mix, beer and molasses. I personally feel that the molasses is what adds so much depth and character to this bread. Some may argue that point and say it’s the Guinness beer and maybe so but the combination of the two, beer and molasses, takes this bread up a notch or two from other mixes I’ve tried. You can serve this beer bread with molasses butter for a great taste alternative. The beer bread mix was marked down to $2.99, due to the fact that St Patty’s day had come and gone. (Aldi is really good about putting seasonal items on clearance.) Anyway, after we got home I realized I didn’t buy any beer to make the beer bread with. Fast forward to the following week-end. On our way home from our grand-daughters 6th birthday party, we stopped at the Pig. Well lo and behold, they had a bin full of beer that was on clearance, $1.00 a bottle. I grabbed a bottle of Christmas Ale and headed for the check out. 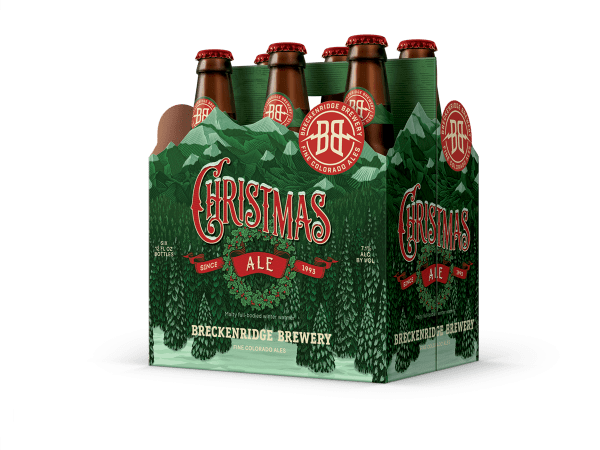 Christmas Ale is a malty full-bodied winter warmer. The chill of winter calls for a beer with extra flavor & strength and this classic strong ale does just that. Flavors of caramel and chocolate are derived from carefully roasted malts. Chinook and Mt. Hood hops contribute a spiciness and clean finish, making Christmas Ale the perfect partner for making beer bread. We’ve included a recipe for molasses butter that is fantastic on beer bread. In fact, molasses butter is super on everything from beer bread to scones. Try it on anything that you would put butter on. Not a fan of molasses? Make honey or maple butter. Simply substitute honey or real maple syrup for the molasses. Always taste the finished butter first. Some people like more or less molasses, honey or maple syrup whipped into their butter. 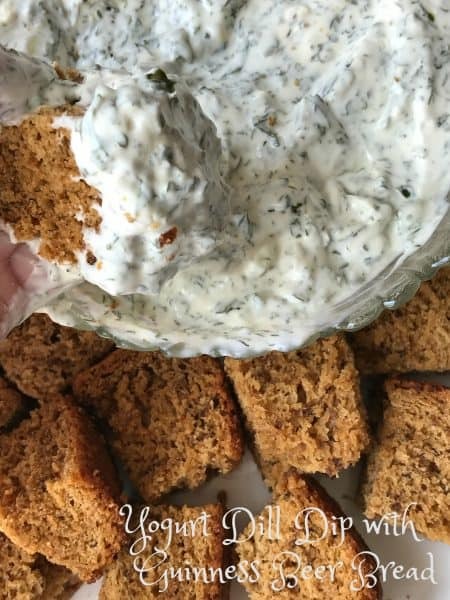 A delightful blend of sour cream, yogurt and olive oil mayonnaise. 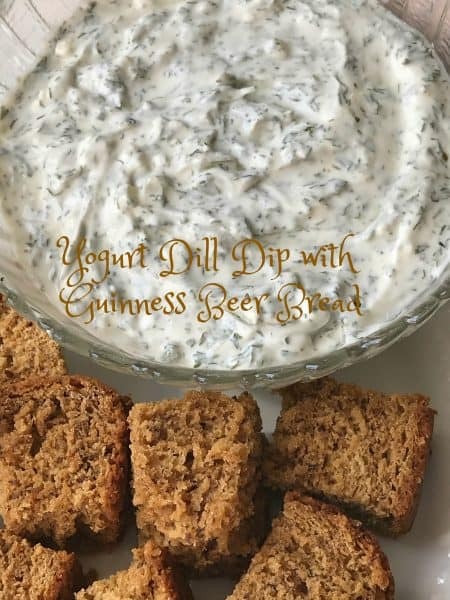 A delicious dip served with beer bread cubes. Serve slices of beer bread with molasses butter for a great taste sensation. Combine first 8 ingredients in a small bowl. Cover and refrigerate for at least 1 hour. Serve with assorted fresh vegetables and/or beer bread. Slowly pour stout into a medium mixing bowl and let head settle. Add molasses and stir well with a wooden spoon to combine. Add bread mix and stir until combined and dry mix is fully incorporated. HINT: Mix until combined, but avoid over mixing or the batter could deflate. Pour batter into prepared loaf pan. Bake for 20 minutes at 350 degrees. Turn oven down to 325 degrees. Continue baking 45 to 60 more minutes or until toothpick inserted into the middle of the loaf comes out clean. Note: Every oven temperatures vary. Monitor bread closely after 45 minutes. Remove pan from oven and allow bread to cool in pan 15 minutes, remove bread and let cool completely on wire rack. Add butter and molasses to a small bowl. Whip with a fork or small whisk until completely blended. Taste and add more molasses if you like. Serve molasses butter at room temperature.